At the heart of Miller Tanner Associates, you will find two distinctions: a team of dedicated individuals who strive for excellence in the work that they do every day; and a work culture that promotes a spirit of generosity and hospitality through Corporate Social Responsibility (CSR). 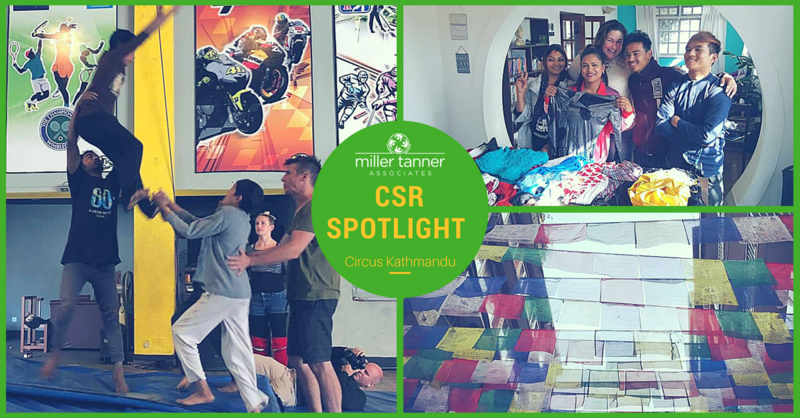 Recently we sat down with Glenda Ann Robertson, Global Event Specialist who, in February, participated in a CSR opportunity with Circus Kathmandu. Tell us about the recent CSR opportunity in which you participated. 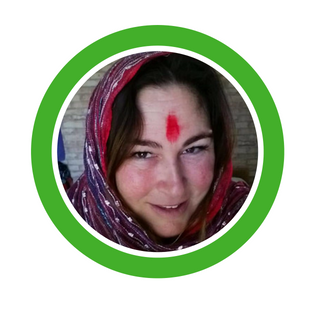 This February, I headed off deep into the Himalayas with nine executive-level volunteers committed to helping a Nepalese circus in their fight against human trafficking. While my role on the team was to bring Miller Tanner’s world-class event planning skills to the table, the rest of the group represented everything from entrepreneurship, to leadership training, to flying trapeze performers. This perfect storm of diverse skill sets had all agreed to come together to donate two weeks of their time and talents to help one small circus achieve their next, and possibly most important, goal – becoming self-sustainable. Circus Kathmandu (CK) was founded in 2010 by 13 artists who had been recovered from forced labour circuses in India. Having been trafficked there as children, the circus was all they knew. After an organisation helped them reclaim their freedoms and return to Nepal, the troupe used their skills to come together and launch the nation’s first contemporary circus. Charting a new path out of the stigma and poverty that comes with being a trafficking survivor, today they are Nepal’s oldest contemporary circus and a jewel in the nation’s artistic talent base. When not dazzling paying audiences with professional circus spectaculars, CK works tirelessly in the fight to end human trafficking and to protect the countless targets of this dark trade. UNICEF estimates that there are still as many as three million children in Nepal at risk of trafficking due to the impact of earthquakes, poverty, and bereavement. To serve this vulnerable community, the troupe run free weekly programs for orphans and at-risk youth in Kathmandu. During these classes, kids come to learn acrobatics in a safe environment where they can build self-esteem, communication skills, and brighter futures, making them significantly less susceptible to predators. CK also perform full circus shows for vulnerable communities across rural Nepal, using their art form to share stories about trafficking and raise awareness amongst villages at risk. What was the motivation behind assisting with this particular opportunity? Why did you choose this organization specifically? I learned of this project through Business for Better Society (BBS). BBS is a charitable foundation that matches corporations and individuals, their funds and/or skills, with purposeful, sustainable and high impact non-profit initiatives. Through their work, they create responsible partnerships and support a culture of accountability, innovation and greater effectiveness in the non-profit sector. They do all this for free in the hopes that by making giving easy and trustworthy, more people and companies will get plugged into projects that make a difference. When they introduced me to a small Nepalese circus that needed help bringing their events to the next level, I knew I was the woman for the job. What skills as an event planner were you able to contribute to this CSR? My role on the volunteer team ranged from creating communication templates to working on sales and marketing strategies specific to event planning. How did MTA support/contribute to this effort? MTA generously gave the gift of time; February is a busy time of year and MTA made arrangements to hire on part-time help to cover my responsibilities in my absence, allowing me to be 100% focused during our mission in Nepal. The GoPro camera MTA donated empowers the CK team to be self-sufficient in their training sessions, giving them the ability to film their practices, rehearsals, and performances, review, and then make any required corrections and/or changes. Members of the CK team viewing the training footage they shot on the GoPro camera that MTA donated. What was the overall goal of the week? What was accomplished? Although grateful for the years of financial support they had received from generous donors, CK had found relying on charity from others to be an unreliable funding model and one that left the group operating hand-to-mouth. To solve this problem they asked us to help them find ways to build their own revenue streams so they could become self-funded and totally self-reliant. After days of brainstorming, team interviews and a lot of delicious curry, we arrived upon a plan that would achieve this for them within three short years. The plan involved a whole host of new initiatives such as a new website, marketing plan, sponsorship packages, automated administration processes, implementation of professional development programs, new profit-generating classes for kids, and, of course, revamped events that would elevate them as Nepal’s undisputed entertainment leaders. The CK team have eagerly begun to roll out our model and will continue to do so over the next three years, eventually, we hope, resulting in a self-sustainable social enterprise that is thriving. 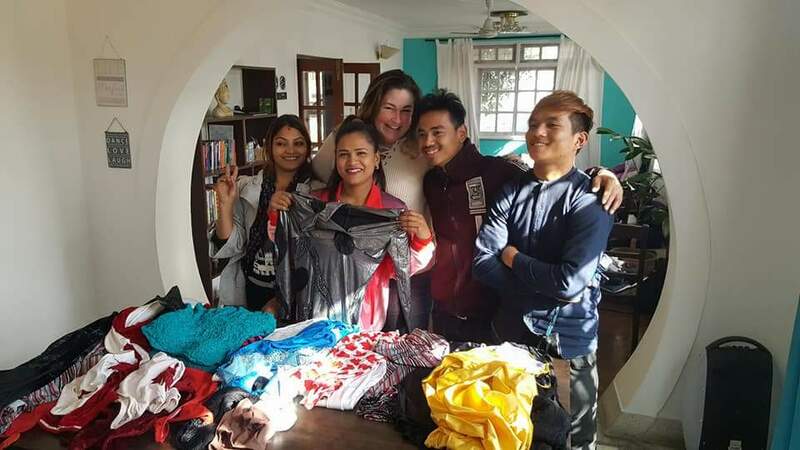 CK team receives donated costumes. What was the most surprising thing that you learned or gained by being part of this experience? During this journey, I learned that when I am given the opportunity to use my signature strengths (Activator, Communicator, Strategic, Woo, and Empathy) together, I value myself more which in turns allows me to be a better leader, to be a better coach, to be a mentor – to be a better person. Were you able to interview any participants to get a better understanding of how this impacted their lives? What was your takeaway from this experience and how did it impact you on a personal or professional level? Both personally and professionally – I want to be my own hero! For more information about Circus Kathmandu, visit www.circuskathmandu.com.